Should I get my windshield repaired or replaced? The answer: YES! 1. For starters, a damaged windshield looks bad. We’ve all seen the spider web windshields and wonder if they had to drive in reverse to make it there safely. Or try pulling into your fathers-in-law’s home to receive that judgmental glare as he builds his speech as to how back in his day, men didn’t treat their cars that way. Or even attempt the car wash. Take a look behind you during the suds session – the workers will be placing bets as to how far that crack will spread by the end of the drying cycle. 2. It’s just not safe. The structural integrity of a car truly matters. With the modern method for manufacturing cars, the windshield is considered part of the total structural integrity package. So if it’s flawed, then your vehicle is flawed. And did you know that even your airbags can’t function properly with an impaired windshield? In the case of an accident where the airbag is deployed and the windshield is already damaged and weak, the airbag can exit the vehicle leaving the passengers in jeopardy. That’s not a game I want to play. 3. Your vision really is impaired. Farmington has had its fair share of construction and road work. With the situation ripe for flying rocks, dusty air, and sudden traffic jams, your windshield truly needs to be in tip-top shape to avoid accidents. Driving through dust and sand (and don’t you know we see our fair share here!) can cause tiny pits and cracks to form in your windshield making it difficult to see. Dust can even help existing cracks spread and can cause new cracks to form! And with the summertime sweltering heat, those small cracks can quickly spread, leaving you bobbing and weaving between crack lines for your clear line of vision. Try getting your windshield repaired instead, and save the bob and weave for the dance floor. All in all, having an impaired windshield is asking for trouble and is anything but safe. While it can be tempting to procrastinate those repairs to save a few dollars, those cracks and pits will grow leaving you a bigger bill than if you had fixed it right away. So don’t ignore that pesky little fissure – fix it early and save your windshield – and your wallet – from hidden pits of despair and cracks of devastation. 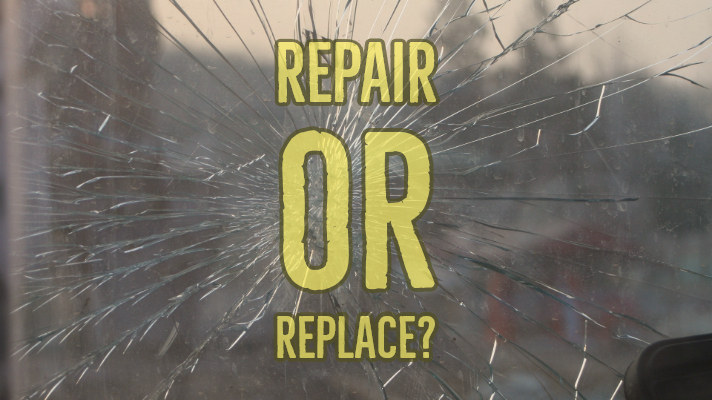 Connect with us today to get your next windshield replaced right!